Toly developed the complete custom line for Flormar in Malta. A fully-automated line has been created for in-line production. The compacts feature a curved lid, with an insert moulded window or solid lid. Toly developed three custom shopping bags in different sizes for Charlotte Tilbury. Charlotte Tilbury chose Toly for both the ‘Bar of Gold’ illuminating highlighter and the luxury chest. Toly created the packaging of Laura Geller’s ‘The Starlet Collection.’ This collection includes five eyeshadow palettes inspired by Hollywood’s legendary women. Lubex and Toly collaborated to create the secondary packaging box for the former’s ‘Anti-Age Dermatological Competence’ line. Korres launched an anti-ageing serum box where the rectangular box holds a Toly TK-30LD dropper. This cardboard packaging gave the product a luxurious finish. Wycon chose Toly to supply a custom cardboard palette for their ‘Dream Diva’. A range of eyeshadows is also secretly integrated inside this palette. The lid displays the distinctive Wycon logo as decoration. Crunchi developed a mono blush cardboard compact with Toly. The compact comes with an integrated mirror. Malu Wilz developed a comical custom cardboard palette with Toly. The palette has a magnetic closure and a cardboard platform that holds 4 pans with an integrated mirror and brush. Malu Wilz and Toly came together to create a round cardboard jar and cap. As part of the Christmas Gift Collection, Toly created new custom cardboard packaging for a variety of the ‘Jack Wills’ collection. Toly created various custom cardboard packs for Laduree Paris. These packs hold 12 and 18 macaroons within vac forms and feature an elegant decoration on the lid. Toly was entrusted by Augustinus Bader, with the launch of their high end skincare ‘PPC Cellular renewal Cream’. Toly also developed the rigid box that houses the cream dispenser. Toly was entrusted by BioNike to create their ‘Defence Color’ eyeshadow palette. The lids have a hot stamp print and are UV lacquered. Toly supplied Biossance with T29 oil pump and SP18HA-30RD dropper for the ‘Squalane’ skincare line. Chado selected the LG-001-117-00 and LG-028-015-00 from Toly’s stock lipgloss portfolio to launch their ‘Effaceur Chrono Precision’ and ‘Gloss Exquis – Rose Tendre’ lipgloss. Color Me Beautiful chose Toly’s standard tubes for their moisturiser and light diffusing foundation while opting for the LG-028-002-00 for their lipgloss and the MA-028-012-00 for their mascara. Toly supplied a variety of packs from their extensive portfolio of airless dispensers to Erno Laszlo. Eva Mosaic selected the loose powder jar, TK-SF003 supplied by Toly Korea, for their ‘Вуаль Effect’ powder. 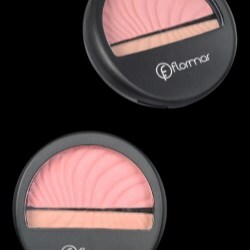 Toly developed a new custom compact line for Pretty by Flormar. This new line was launched at Cosmoprof in Bologna in 2017 and produced in Toly China. Toly Design Studio created all the artworks and branding for this new line. Toly supplied various packs to Glycel for their skincare range such as the T4-15CSN with gradation effect which was used for the ‘Hydro Firm’ eye cream. TU13HA-3B, the specially designed dropper from Toly Korea, was chosen by Halier for their hair and scalp serum for men and women. Heliocare chose Toly’s standard cushion compact to launch their ‘Heliocare 360˚ Color’. Toly supply all the caps for the iconic brand ‘Hugo’ by Hugo Boss. The range of fragrance caps features an insert moulded strap. Janssen Cosmetics selected various sizes from Toly’s T1 standard airless range for their ‘Platinum Care’ line. The metallic matte finish is complemented with a silver plated pump. Juice Beauty selected one of Toly’s standard glass bottles DT-034-004-30. Toly also supplied its standard Moda compact with a unique decoration. Laboratories Filorga launched their new ‘Nutri-Filler Lips’ using Toly’s CT-012-002-1 twistpen. 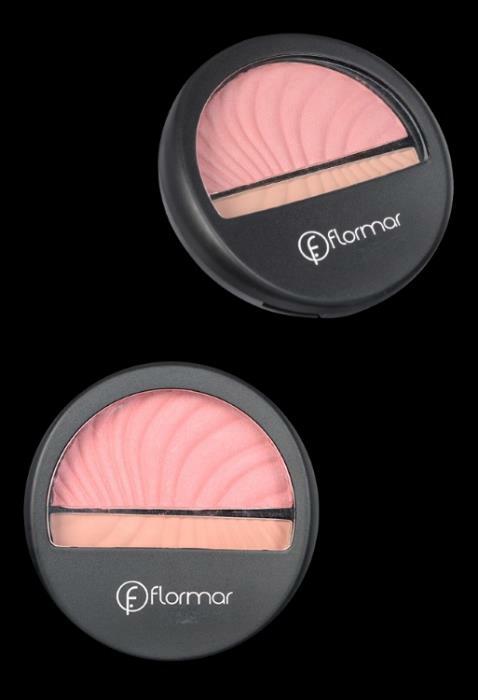 Toly supplied Make Up For Ever with the standard cushion compact for ‘UV BRIGHT CUSHION’ a lightweight 3-in-1 foundation. Toly Asia supplied two heavy wall jars; JA-015-003-50 and JA-015-003-15 for Medik8. To complement their skincare range, the T6 manufactured by Toly Korea was selected for the ‘r-Retinoate®’ cream. Toly developed various custom metallised caps for Michael Kors’s fragrances. As part of their ‘Phyto De Luxe’ luxury skincare line, Mila D’Opiz chose to use Toly’s luxury glass dropper- SP18HA- 20RD. The elegant, translucent bottle is topped off with a gold and black pipette, adding volumes to the luxurious feel of the product. Nabla launched their ‘Dreamy Matte Liquid Lipstick’ in various colours using Toly’s standard lipgloss LG-001-088-0. Toly supplied a custom, 1 piece overcap for Oriflame’s “Divine” fragrance line. This cap is gold U.V. metallised.